The top House Democrat with oversight of the federal workforce requested a subpoena of documents related to the reassignment of dozens of senior executives at the Interior Department, saying the Trump administration has so far stymied efforts to bring transparency to the decisions. 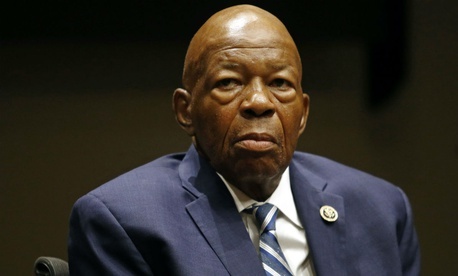 Interior sent 176 pages of documents to Rep. Elijah Cummings, D-Md., the ranking member of the House Oversight and Government Reform Committee, in response to a request he made in October. More than one-third of that was a photocopied version of the 1978 Civil Service Reform Act, however, and Cummings said the rest was heavily redacted and failed to shine light on all of his questions. The department has faced criticisms from internal whistleblowers and outside groups for the reassignments of Senior Executive Service employees, alleging the transfers amounted to political retribution. About 15 percent of Interior’s career senior executives received proposed notices or notices of reassignment on June 15, 2017. “One of our core responsibilities on the committee is to conduct vigorous oversight of agency reorganizations and the treatment of career federal employees,” Cummings wrote. He said if Gowdy declined to issue the subpoena himself, it should at least be put to a vote before the committee. Republicans on the panel earlier in February blocked Democrats' efforts to submit 19 subpoenas to boost oversight efforts on an array of issues in the Trump administration. The reassignments, however, have stoked bipartisan concerns on Capitol Hill.